I know Ive quoted him in the past, and I think its appropriate to quote him again. I agree with George Washington who wrote, In a free republican government, you cannot restrain the voice of the multitude. For a government to be successful we need legislators who are thoughtful, are willing to stick to their guns when it makes sense, and work to accomplish the will of the people. That is why I conducted the End of Session Survey this past August. If I have said it once, Ive said it a thousand times. Leadership is better when it is better informed. I will continue to conduct surveys and work with staff to improve the quality of the surveys in the future. I want to know what you think. I want to know what is important to you. And I want to continue a dialogue so I can make better decisions for us. Almost 1,000 of you returned the survey in the mail or through my website. Thank you. The survey asked which were the most serious challenges facing Illinois - education funding, gun violence, transportation and infrastructure, environmental protection, health care costs, or high taxes. More than half of your responses said high taxes was our most serious challenge. I can certainly understand why so many of you are concerned about high taxes. Illinois families pay more taxes than families in any other state in the country. There are people who think you should pay more taxes without reforming government in any way whatsoever. I think those people are wrong. We need to reform Springfields spending, and put a stop to government corruption before asking working families to pay more taxes. The next six questions of the survey addressed various issues. A few responses stood out. For example, ninety-two percent of you think that we should take the legislative map-drawing process out of the hands of politicians! Given the autocratic rule we have seen by the Chicago machine, controlling our state for the past three decades, its easy to understand why so many of us agree that one way to fight this corruption is to end gerrymandering. Progressive taxes were next on the list. Over eighty-three percent of you said you opposed a progressive income tax if it would raise taxes on the middle class. There are folks who are trying to convince you that changing our tax system would benefit working families and only tax the rich. However, they want you to blindly support the change without telling you exactly what the tax rates will be and who they will affect. For those who dont remember, the only progressive tax bill that has been filed is House Bill 3522, which starts raising income taxes on families earning $7,500 a year, and increases them again for families earning more than $15,000 a year. The legislator who filed that bill included a letter to the remaining 117 members of the House of Representatives explaining how the only way to pay our current debts and pension obligations was through that tax bill, and included a calculator for us to check his math. Seventy-eight percent of you are opposed to the proposal by the Chicago Fed to increase your property taxes for the next 30 years to pay down pension debt. This is easy to understand. I took a phone call from a gentleman just the other day telling me about how high his property taxes are compared to similar properties in Minnesota. Also, many of your comments on the question expressed distrust that the state would spend the money to pay down the pension debt. After all, wasnt that what the old 2011 tax increase was for? One question, Question 7, we refined from last years survey. Last year, we asked about government consolidation and a significant majority of you were in favor of it. This year, you were asked if you favored consolidating Townships or Township Road Districts without first providing data proving that the consolidation would save you money. Seventy-three percent of you said No. This makes sense. 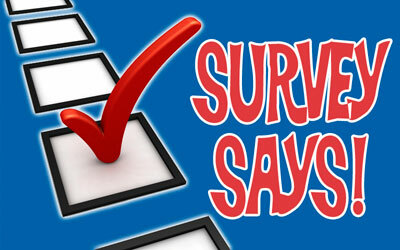 The survey indicates that taxes are your highest concern. It makes sense that you would want to know if consolidation would save tax dollars. I relate to the words of Eleanor Roosevelt, Do what you feel in your heart to be right for youll be criticized anyway. Now there are always people who will disagree with the decisions Ive made. They will most likely disagree with any decisions I will make. They disagree with the beliefs you and I have. Theres no pleasing these people, even after presenting the facts. However, we can remember that what unites us is far greater than anything that divides us. With that in mind, I would like to take a moment and note the passing of a long-time friend, Kenneth Pat Patrick Martin, who I always called, K. Patrick. I knew him for many years both personally and professionally, since I served as a Freeport Alderman with his wife, Mickey Martin. I had the privilege of honoring their daughter, Kelly, who was one of Time Magazines People of the Year in 2017 for her bravery in speaking out against sexual harassment. K. Patrick was active in our community, committed to making Freeport a better place for all of us. He was also a founding member and dedicated to the Highland Chapter of Pheasants Forever and to the Illinois State Council of Pheasants Forever for the past 35 years. He was a great man and will be missed.